How will you profit from the technology based on which the Strategic Implant® is used? The Strategic Implant® offers enormous advantages compared to the old-fashioned technology of 2-stage implants, which is used since the 1950ies. 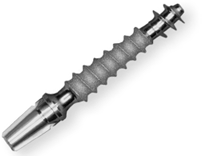 The Strategic Implant® is used as a rule without any bone augmentations. Nevertheless virtually all patients can be treated with implant with the help of our technology. Thanks to our extremely well developed technique and the profound knowledge of surgical methods we can reach stability for immediate loading in almost all cases. We anchor the Strategic Implant® as a rule only in cortical bone areas (“osseofixation”), and therefore we can utilize the implants immediately. Later, over time, other intra-bony parts of the implant osseo-integrate. We do not depend on osseointegration for the success of the treatment. Cortical bone provides a high level of mineralization, and this provides stability. At the same time the metabolism of this bone is and remains low. We can place implants right after the extraction of the teeth, even if periodontal or peri-apical infections are present before extractions. It is not necessary to treat these infections separately, because the tooth will be anyway removed. The treatment success does not depend on the availability of vertical bone. Hence we can treat even cases with very resorbed bone (“atrophy”). For the strategic Implant® no waiting times or healing times are necessary. 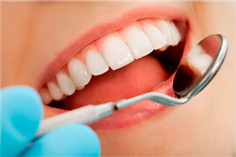 On average we finish the treatment with the incorporation of the fixed teeth within 72 hours. Since work independently of the bone supply, we are able to place the new teeth according to the aesthetic wishes of the patients. 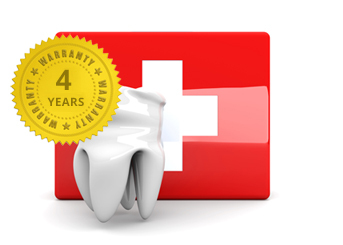 In case of complications the Strategic Implant® can be removed easily and it is usually replaced immediately. And the biggest advantage compared to conventional dental implants: the bone around the Strategic Implant® does not develop “Peri-Implantitis”. We know today that more than 50% of the conventional implants are suffering from this disease and so do the patients. Peri-Implantitis is a disease, which is found only around conventional dental implants, regardless of the brand and the price of the implant (!). This disease is unstoppable, and it ends with the removal of the implant after a long period of severe suffering for the patient. 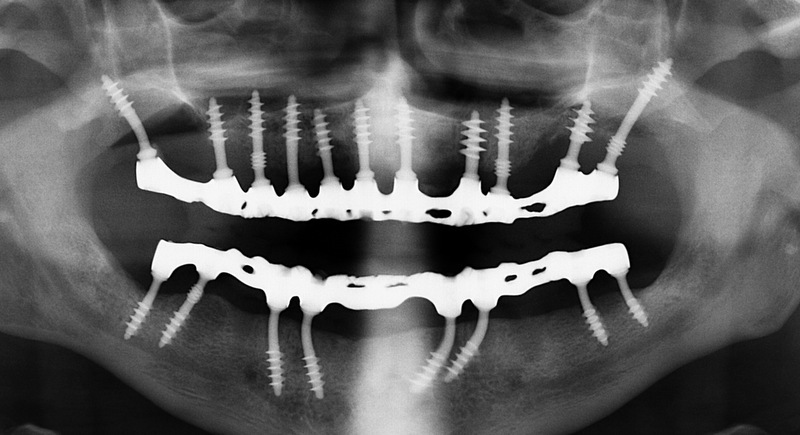 This disease does not appear around the Strategic Implant®. The Immediate Loading technology has been continually improved throughout the last decade in the Simpladent research center in cooperation with Dr. Ihde Dental AG. Further information can be found on www.ihde.com and www.strategic-implant.com. The training of specialized implantologists is exclusively conducted by the International Implant Foundation, Munich (www.implantfoundation.org). For the maxilla-facial field Simpladent GmbH has also developed a revolutionary treatment concept in cooperation with maxillo-facial department of the Belgrade University (Prof. V. Konstantinovic/ Prof. Lazic). These two experts are the pioneers and leading specialists in the placement of lateral and screwable strategic implants in the frontal bone, mastoid, and glabella. Of course the developments do not stop here. 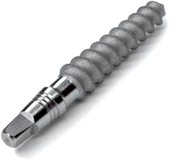 Simpladent's strategic implants are currently the most advanced implant types available and in use around the world. 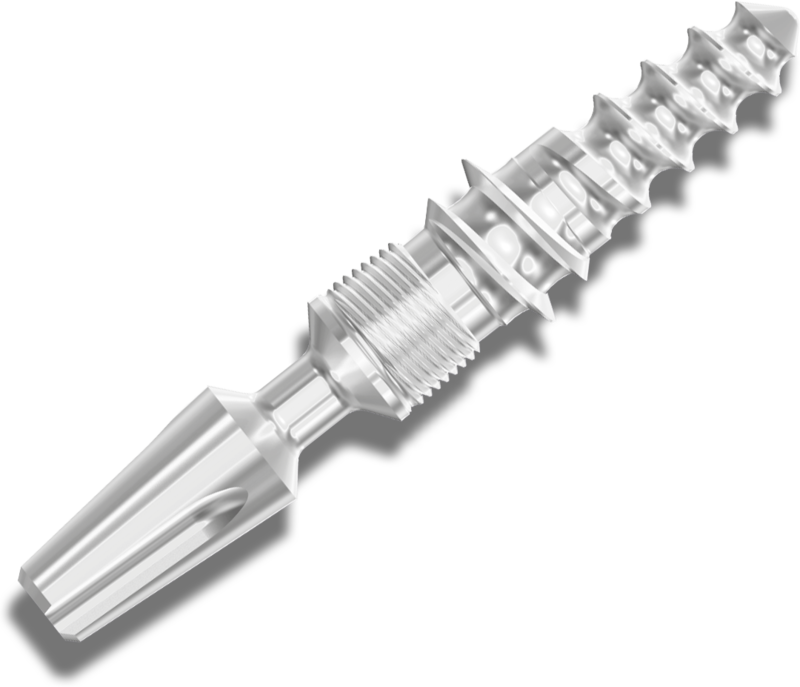 Simpladent GmbH produces more than 50 types of implants for immediate loading to deal with any dental problems. However, not only the right implant choice is important, but also the implantologist's skill. The Simpladent Group's specialists receive a profound basic education, additional schooling for the proper handling of different implant types, and are obligated to seek annual re-training. All training is conducted according to the high quality standard in Switzerland and Germany. This ensures the treatment by an expert professional. Used immediately after the removal of teeth directly into the extraction socket. 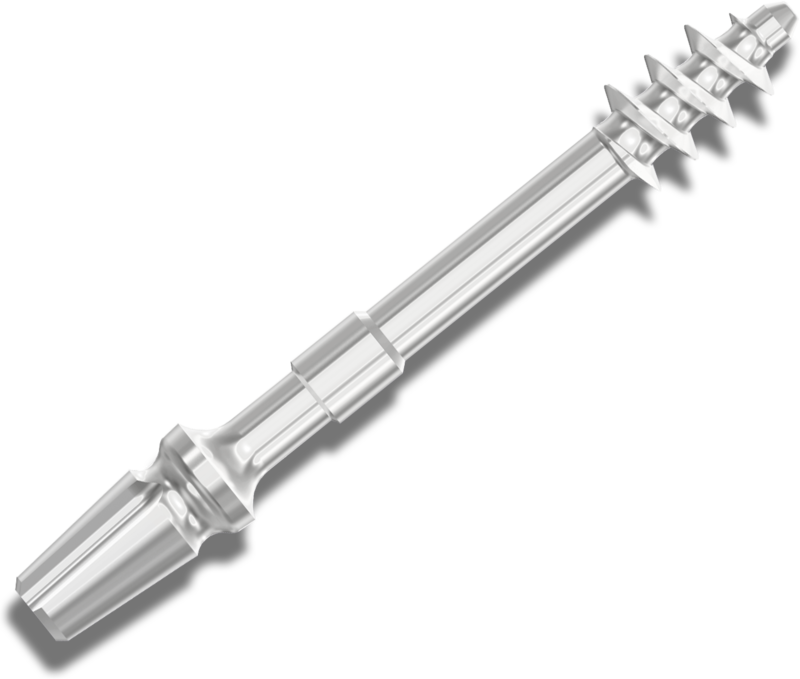 The design of the implants allows anchoring even in remote corticals. The unique combination of the elastic implant design for cortical fixation and subsequent screw fixation of prosthetics. Combination implant featuring three different thread designs on one implant: A micro-thread in the first cortical provides stability, the cutting thread in the middle allows secure anchorage in fresh extraction sockets, and the apical compression thread provides stability in the compressible spongious bone. 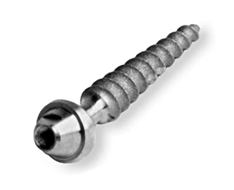 Conical compression screw implant for minimally invasive insertion. The implant for a bloodless procedure without surgical incision and flap. As a result, patients experience no swelling and hardly any pain. This implant never requires bone augmentation. The unique design combines technology of compression and cortical implants for areas with non-homogeneous bone density. It reaches enormous primary stability up to 100 Ncm. 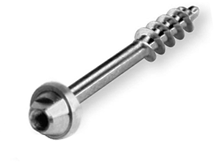 Compression screw implant for complex anatomical situations. It is used for fixed bridges and bars. Inspection of the oral cavity and x-ray examination are done by the treatment provider. Subsequently the treatment can begin. As a rule this occurs immediately since the precautions and additional steps necessary in conventional implants (pre-operative improvement of oral hygiene, periodontal pre-treatment, etc) are not applicable for the Strategic Implant ®, if the affected teeth are simply extracted. On the day of surgery the affected teeth are extracted and the implants placed straight away. The prosthetic treatment begins right after the implants are inserted. After three days at the latest the first fixed bridge is fixed and the new teeth can be used for eating, smiling, speaking! 1-2 months after implant placement, adequate bone healing provided. Diabetes and other serious diseases that delay the healing process. cases where bilateral equal mastication can not be arranged, e.g. when chewing muscles or their innervation are partly missing. However, these cases might still be treatable by experienced professionals. Patient had a full adentia on the upper and partial on the lower jaw. Pronounced elongation of all teeth. 9 years after using dentures Simpladent implants were placed and fixed bridges successfully installed within three days. This patient had just lost the bridges in the upper jaw. All remaining teeth and roots were removed. Only 48 hours later the patient was already equipped with fixed teeth and able to eat everything. 18 month later the first metal-acrylic bridge was replaced (on her request) by a metal-to-ceramic restoration. None of the patient’s remaining teeth were worth saving. Therefore all teeth in the upper and lower jaw were removed and a total of 19 Strategic Implants were inserted. Two days later the prosthetic construction was ready and the bridges were cemented with definitive cement. Regular chewing function was possible immediately. The lower x-ray was taken 11 months post-operatively. All infected areas in the jaw bones had healed, the picture shows good bone in all places.